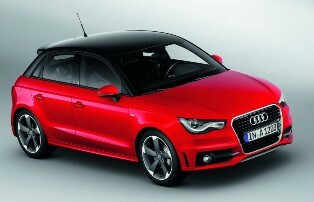 Italian luxury carmaker recently announced their new A1 which will come in the form of the 5 door Sportback. This will be rolling out early next year where it will be equally as long as the recently launched 3 door version but will be slightly wider and taller too. As it is naturally a 5 door version, it will come with more space and leg room, especially at the back. Under the hood, the new A1 Sportsback comes with 3 petrol and 3 diesel engines. The petrol engine are the TFSI ones while as with most other Audi cars, the TDi system power up the diesel powertrains where you will be able to chose between the 5 or 6 speed transmission gearboxes. The 1.4 TFSI engine meanwhile gives you the option of a 7 speed Stronic transmission gearbox. The new Sportsback can easily sit 4 people comfortably where you can add in another if you like and this is provided free of charge. Despite the fact that it is very much a compact car, it comes with a huge 270 liters of boot space. This will be substantially increased to 920 liters when you fold down the rear seats. Design wise, you get up to 12 exterior colours where they have added a new Samoa Orange colour which surely would be a major head turner.